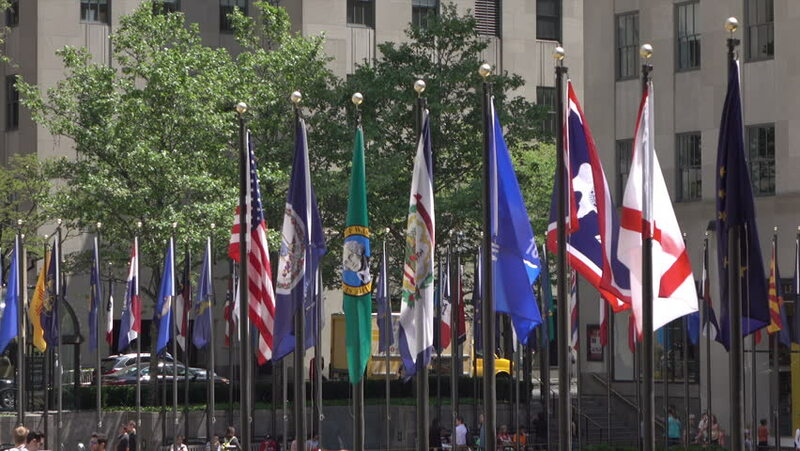 NEW YORK CITY, USA - MAY 19, 2017: Pan across flags outside Rockefeller center. Rockefeller Center is a large complex consisting of 19 high-rise commercial buildings. hd00:20Ohio flags flying outside of Ohio Statehouse. USA flag in the background. 4k00:12WASHINGTON, DC - Circa August, 2017 - A unique long slow motion shot view of tourists visiting the Washington Monument with the Lincoln Memorial in the distance. Shot at 48fps.